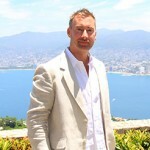 Jeff Berwick: Diversify Your Assets Globally While You Still Can - Wall St. for Main St.Wall St. for Main St.
During this 40+ minute interview, Jason asks Jeff why the global financial system hasn’t collapsed yet? Jeff says a lot of money has been printed to keep the game going longer but that he would be surprised if things last another 5-7 years. Jason and Jeff discuss Keynesian Economics and the brainwashing of children in schools in the US to allow the government to do almost anything it wants. Next, Jason asks Jeff if Austrian School Economist and founder of anarcho-capitalism, Murray Rothbard (if he were still alive) would be surprised the game has been kept going longer than expected? Plus much more!